Okay, it's not strictly a rule as much as a convention. Besides, it's a little odd to talk about making the unit models closer to canon, then mention the AT-XT and TX-130, both of which are Legends-only vehicles. I mainly mentioned them due to a better chance of them actually being canon. The vehicles in SWGB are vague and have little to no chance of being reintroduced to canon. Hey, Sarthos. Yes, we're still here. Also on Discord, if you wanna do any modding fun. Welcome back. Though we've been rather quiet here over the past few months, the Expanding Fronts team is hard at work preparing for our next major update. 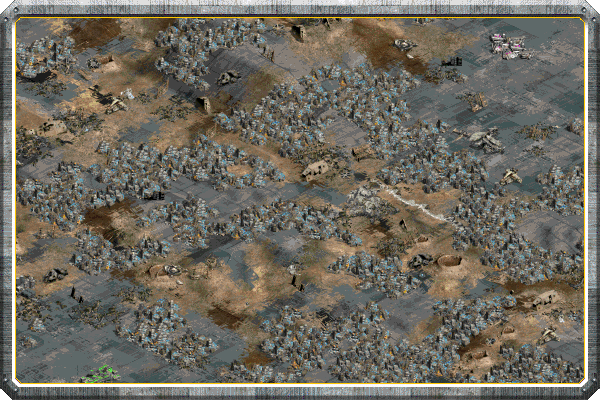 This time, we have chosen to focus mainly on the core mainstay of the game; Random Maps. New breakthroughs in modding have given us the ability to add entirely new terrain textures to the game. Thus far, over fifty new options are available for map designers to use in their creations. Also added are new cliff sets, and a host of new animals to give maps more life and variety than ever before. Today we'll be taking a look at over a dozen map scripts available in the Expanding Fronts mod. "Built a thousand generations ago to keep these. The original Jedi texts. Just like me, they're the last of the Jedi religion." A secluded oceanic world rumored to house the site of the first Jedi Temple. Ahch-To is an archipelago map where players start on small individual islands. These islands are limited in size, and will eventually run dry of resources, forcing players to expand outwards by air or water. 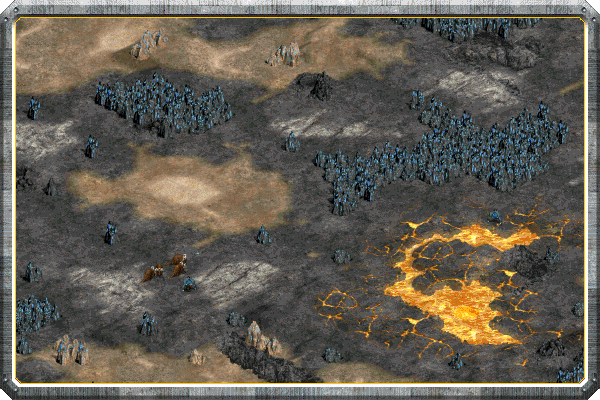 In the center of the map is a large landmass containing multiple mineral deposits, and plentiful Holocrons. Control over the mainland is critical to ensure victory. Carbon is plentiful from woodlands, and food comes primarily in the form of fish, fruit bushes, and Porgs - a new herd animal that can be captured the same as Nerfs/Banthas. "That business on Cato Neimoidia doesn't... doesn't count." The oldest of the Neimoidian 'Purse Worlds,' much of Cato Neimoidia's life exists atop rocky plateaus that tower high over the permanent fog and acidic oceans below. It is on top of these rocky spires that devastating battles rage. Players all start on a small rock-bordered island surrounded by clouds. 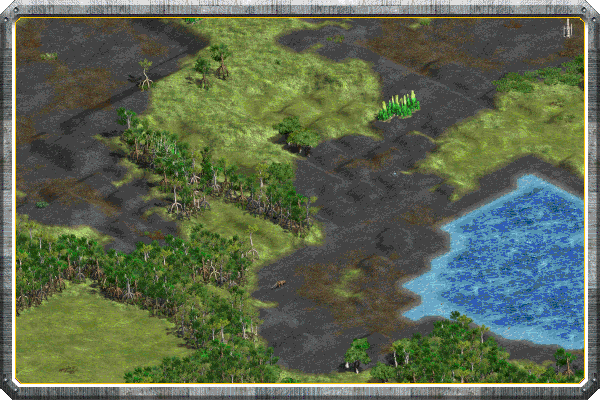 Defensible, but small, resources are in short supply, and players must hop islands in order to secure new sources of income. Unlike Ahch-To, there is no central landmass, and players must fight to stake claims between numerous small islands scattered about the map. A red-soiled mineral planet dusted over by a thick crust of salt. Crait consists mostly of flatland with numerous pockets of Carbon rocks. Ore is in higher than usual supply, owing to Crait's mineral rich nature, and packs of wild Vulptices roam the barren surface. "Wonderful. We are now part of the tribe." 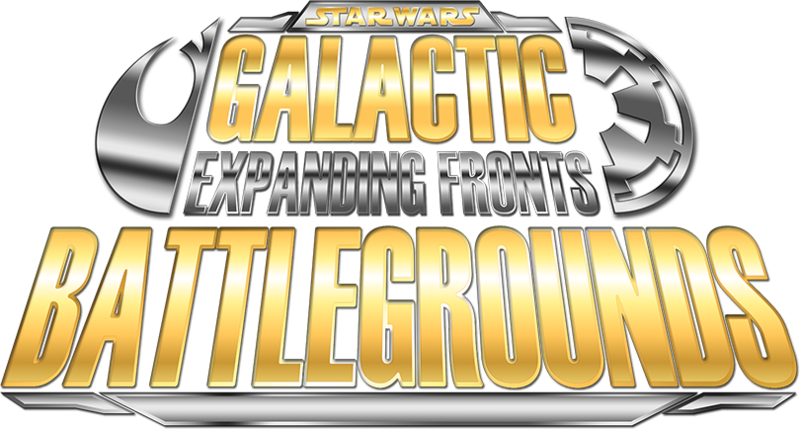 A re-imagining of the original Battlegrounds script; the Forest Moon of Endor has been enhanced with new wildlife and features. A new herd animal, the Bordok, can be captured for food, while vicious Arachne spiders lurk deep in the forest stalking unsuspecting prey. The primary new feature of Endor is the scattered Ewok villages. Just like herd animals, Ewok huts can be captured by any player that approaches them. 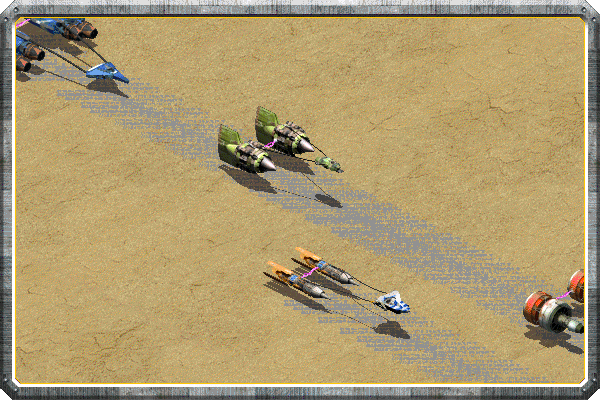 While under control players can train Ewok units to fight for their armies. While Individually frail, they come at a low cost and can be quickly replenished from any owned Ewok structure. The ancient homeworld of the Sith species, and the burial site of some of the most powerful Dark Lords of the Sith, Korriban is a planet filled with immeasurable dark-side energy. Its harsh desert surface contains plentiful Carbon deposits, but not much in the way of food save for packs of violent animals. A higher than usual amount of Holocrons dot the landscape, providing an immense boost of Nova for those determined enough to claim them. A lush, agrarian outer rim world, Lah'mu's surface is covered in fertile grasslands, mountians, and black sand beaches. The isolated world inhabits only a sparse amount of settlers. Food is plentiful on Lah'mu, due to plentiful fruit bushes and large packs of herd animals. Also dotted across the map are numerous moisture vaporator structures that will passively generate Food for any player that controls them. "You have to be alert every second on Mimban. This is a crazy world, where the ground itself is your most uncertain enemy." A miserable, mud-covered world ravaged by near-constant warfare.The surface of Mimban is a hilly wasteland dotted with the remains of countless prior battles. Carbon deposits are small and scattered, requiring constant Worker mobility. 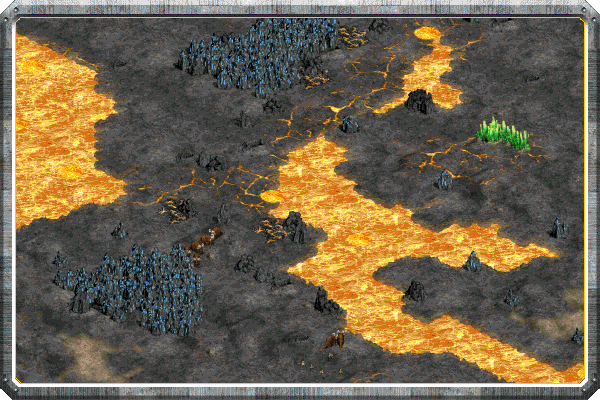 Ore deposits are more plentiful than usual, allowing defensive-minded players the means to dig in behind dense fortifications. "It's obvious that civilizations have been present here for thousands of years. Strangely enough though, apart from the last few hundred years, there are no records at all of who was here or where they are now." A remote volcanic world that served as the last capital of the Confederacy of Independent Systems during the Clone Wars. Mustafar consists of a hilly volcanic landmass intersected by lakes. Thin rocky bridges connect player lands and serve as natural choke-points. "If the Empire is here, then what I sensed is true. There must be something special about this place." A remote aquatic planet with an immense coral reef stretching across much of its surface. The map consists of a landmass surrounded by water on three sides. Pillio contains plentiful food from fish, fruit bushes, and herd animals. "You don't realize how important a datapad is until you're stranded on Raxus Prime with nothing but your boots and a blaster." Once a lush tropical world, Raxus Prime now contains barren toxic wastes buried in immense mountains of trash and scrap. Navigation on this map is difficult owing to the colossal buildup of scrap. Most of it can be harvested for resources. Because of this, Raxus Prime contains a much higher than usual resource capacity. "Beautiful, this moon, is. Amazing, the universe, is." Rugosa is a temperate moon covered in vast coral forests. It consists mostly of open, hilly landscape with average resources. In the center of the map is a lagoon that houses a single island filled with Nova Crystal deposits. "How do we blow it up? There's always a way to do that." A forested ice planet ripped from its orbital home to become the mobile base of the First Order. Its surface consists of rocky mountains and vast open forests. The script is heavily forested around the edges, with multiple gaps in the trees, allowing attacks to come from almost any direction. 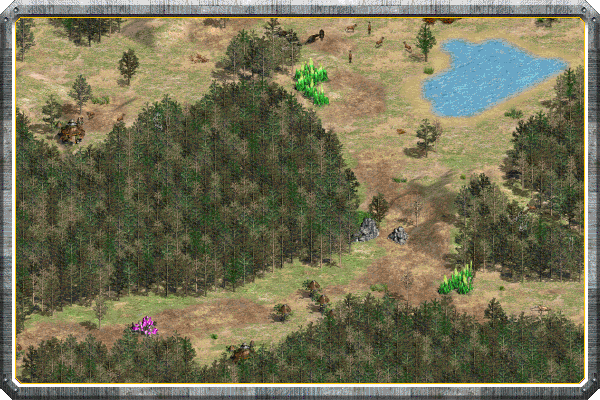 The center of the map contains a large clearing. Carbon is plentiful, but Food and other resources are somewhat scarce. The homeworld of the Sullustan species, Sullust's surface is a volatile volcanic wasteland covered in toxic gasses. While most inhabitants reside in underground cave networks, the surface hosts numerous mining and manufacturing operations. Sullust has a high mineral capacity, but is somewhat lacking in Carbon and Food. These scripts represent a sample of what we've been working on over the past year. We hope to show you much more soon. Many of these maps are already playable and can be downloaded from the latest Monthly Build available on Google Drive. Unfortunately, the holidays this year have been busier than usual for the team, and we do not yet have a solid release date for the next update. We hope to get something done early into 2019 and we will keep you posted as we make a decision. Thank you for your patience. We'd like to thank all of those who have been following the Expanding Fronts mod since its inception. Your continued support and enjoyment of the mod is greatly appreciated and we wish you all the best for this holiday season. We look forward to bringing even more to you next year. We have some huge plans for the Expanding Fronts project moving forward, and we need YOUR help to to bring them into existence. Currently we require concept artists to help us design structures and units for new playable civilizations, as well as talented 3D artists and animators to help bring those designs to life. If you, or anybody you know has the skills, and wishes to contribute to the continued improvement of Expanding Fronts, please let us know. You can get in touch with us here on ModDB, or in our Discord server. I'm not sure which makes me happier: new aesthetic stuff or that Kreia quote. That's awesome, I always look forward to checking out the scenario editor with every update! Hey I've tried the manual and exe installer, and having to t reinstall the game between each one I keep getting the error (0xc000007b) and tells me to close application. Even the original version after using this gets this error when it was fine before, i set the correct path for the exe and the folder copy and the installer runs the command box and says successfully installed. Not sure what might be causing this. Also when trying to run the configuration it says it can't locate the Efpatch.dll and to check the integrity of the installation. I installed from downloads from heavengames and mooddb for patch 1.2.1a and am running on steam. got any ideas? You should only have to merge the downloaded Game folder with the default one. 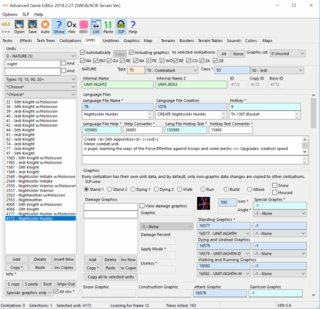 Why don't you publish this on Mod.db it will help to increase the activity. We've had a ModDb page since 2012. I'd like to suggest adding a extra building that calls in hero units for each faction. I've been able to do this using AGE by setting an extra cost (using Misc Counters) to the hero units restricting it so only one of each hero could be built at a time. I think this would be something that would spice up SWGBs gameplay, and I also think it's a missed opportunity that we can only use heroes in the campaign. It's unlikely that we'll ever include heroes in standard matches. The ZC Defilers feel a tad bit weak against buildings. I know their effectiveness against them was reduced at some point, but it may have been by a little too much. I've noticed Shoran's bowcaster shots are red, unlike the green bolts in other Wookies. Is this WAD? I have some modest suggestions. What about creating small floor tile corner and small floor tile versions of a couple of metal terrains? Floor tiles allow terrain patterns at a smaller scale and smooth transitions. For metals this would benefit metal mixing (default metal transitions work to great effect in some industrial/worn-out landscapes but not in clean bases) and metal borders with other groups of terrain, particularly water. 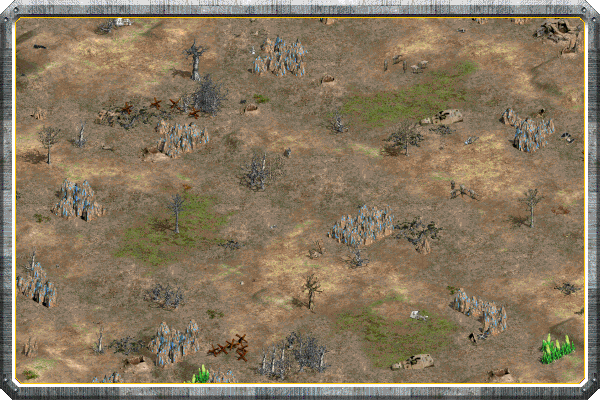 One problem is that the graphics would be taken from only one section of the terrain and the tiles could thus look repetitive, unless more work was taken to include several variations. But corners wouldn't be as affected by this problem and this repetitiveness wouldn't be as visible in some metals. Metal 3 has a lot of patterns and the repeated tiles would stand out, but Metal 1 would work out a lot better. And perhaps one of the repeater trooper E-webs and one of the scout speeders could be made into a prop by removing the trooper using it in at least one of the frames (not all of them, particularly since angles remove too much of the E-web from sight) and added as an editor-only prop. I script AI for SWGB. I have used my script collection on EF with varying result. My main script is a 100 rule I created several years ago for CC. It works mostly as it does on CC, but has problems with new CIVs (Zann and Geonosians). In order to script adequately, I would need a listing of the unit ID numbers (to create defconst) and similarly ID numbers for new researches and for [new] building. 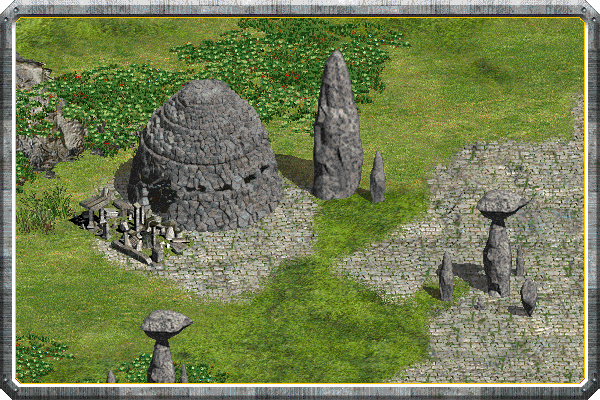 My ai script can create the units, build buildings and do the research for the original CIVs, but cannot train the Zann unique (Fortress) units (I think) and maybe not Geonosian unique units either. I think this true of most AI scripts out there. I tried to inquire this data out the Advanced Genie Editor, but the version I was using showed Zann and Geonosian CIV research tree as blank, although the comment in article/blog refered to using a "special" version to MOD EF files. Is there a way of obtaining this information? Where are you looking for the information in AGE? What is the ID for Fortress research to create Veteran defilers. What is the line ID for defiler-line. Additionally, what is ID for Night Sister Hunter (I assume Night Sister novice line uses the Jedi-line ids). To answer question about AGE, I was trying to lookup the units/research id (not edit them). BTW, you can reach us faster on our Discord server.